The city itself is incredible with so much to do and see. My favourite spot is the awe-inspiring Plaza de España. I’ve visited the city many times but haven’t stayed there recently. It’s definitely time to stay in and visit some boutique hotels in Sevilla city. The buzzing metropolitan city with its fabulous Plaza de España, Torre de Oro, Alcazar, setas and the marvelous Palacio de las Duenas, along with thousands of tapas bars is mesmerizing, one visit will not be enough. We haven’t actually stayed in any hotels in the city itself but are planning to change that soon. The natural area Sierra Norte de Sevilla is one of our favourite natural parks, not as dramatic and stunning as Cazorla in Jaen but more rolling and gentle like Exmoor in the UK. Enjoy wherever you visit, we have no doubt that you will. 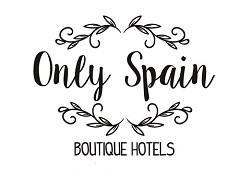 Have you visited a great hotel in or around Sevilla that you’d recommend and think should be on Only Spain Boutique Hotels? Do you want some help planning your trip to Spain? We offer a trip planning, hotel booking service, as much or little help as you want. Even though we haven’t personally visited many hotels in Sevilla yet there are a lot we plan on visiting and can recommend to you. Visit our Trip Planning page.